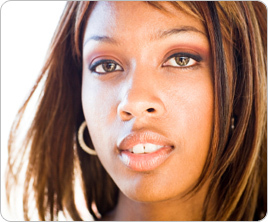 African American hair breakage is common among both men and women of African descent. The unique nature of Black hair calls for specialized treatment. African American hair tends to be thick at some points and thin at others, resulting in its characteristic curl. Due to this unique quality, the hair is fragile in the thin areas and hair breakage is likely to occur. There is hope, however. Hair breakage can be repaired, treated and prevented. Some African American hair breakage often occurs as a result of braiding hair too tightly, leaving braids in too long or removing braids without the help of a professional. African American hair breakage can also arise as a result of damage to the cortex. The cortex is the middle layer of the hair and its chemical bonds are altered by texturizers, dyes, relaxers and heat straightening. African American hair breakage treatments can be easily implemented and future occurrences can be prevented. Here are a few simple tips you can put into practice to help with African American hair breakage. Wash you hair every 2 to 3 weeks. If you have natural hair, use a moisturizing shampoo that is designed to eliminate the buildup of hair products. If you have coarse hair, wash it with a detangling shampoo. For hair that is relaxed, use a shampoo with extra moisturizers once a week. Condition your hair after each wash.
Avoid hairstyles that are too tight. Purchase a product for hair breakage such as H2 Ion that is proven to be effective at treating and preventing African American hair breakage.